September 3 is Carl David Anderson’s birthday. Anderson was the American physicist who discovered the positron. Anderson attended Caltech as an electrical engineering student but switched to physics after attending a lecture. He worked as a research assistant to Robert Millikan who was trying to prove a theory of his dealing with cosmic rays. Cosmic rays were a newly discovered phenomenon in the 1920s. Henri Becquerel had discovered radioactivity in 1896 and scientists had been detecting radiation everywhere ever since. It was widely accepted radioactivity detected in the air originated from radioactive elements in the Earth’s crust. In 1909, German physicist Theodor Wulf constructed a particle detector to test this belief. He wanted to show radiation levels decreased as you got further from the Earth. He set up his experiment to measure the difference between radiation at the base and top of the tallest building in the world, the Eiffel Tower. Wulf ended up showing there was more radiation as you gained altitude. This would imply the radiation was coming from a source other than the Earth’s crust. Austrian physicist Victor Hess expanded this experiment by measuring radiation during balloon flights and during eclipses to eliminate the Sun as the source. Hess would earn half the 1936 Nobel Prize in Physics for discovering cosmic rays came from space. Millikan coined the term cosmic rays and believed cosmic rays were actually gamma rays and the charged particle radiation was a secondary radiation caused by the gamma rays being scattered by the atmosphere. Anderson was one of the students looking for these secondary reactions. Anderson worked with a cloud chamber to detect charged particles. Cloud chambers are sealed containers of supersaturated water vapor. When a charged particle passes through the vapor, the vapor is ionized. These ions form condensation nuclei and bubbles of water are formed along the ionization path. If you place your chamber in a strong magnetic field, the path any moving charged particle will curve according to its charge and energy. The direction of the curve is determined by the particle’s charge while the radius of the curve is determined by the energy of the particle. Since these interactions are generally very fast, photographs of the chamber are taken to make measurements and analyze later. In several of Anderson’s photographs, he detected a bubble path that indicated the mass of an electron but curved in the opposite direction. Anderson had discovered the anti-electron predicted by Paul Dirac. This discovery would earn Anderson the other half of the 1936 Nobel Prize in Physics. The year he won his Prize, he and his graduate student, Seth Neddermeyer were continuing research into cosmic rays when they detected another new particle. This particle had the same charge of the electron but was 207 times more massive. Since this particle seemed to have a mass midway between an electron and a proton, he called the particle a mesotron (meso – middle in Greek). The name was later shortened to meson. Anderson believed this discovery matched the theoretical existence of a particle predicted by Hideki Yukawa, but while it had the correct mass, it didn’t interact with the nucleus in the predicted manner. Yukawa’s particle would be discovered 10 years later and called a pi meson or pion for short. Anderson’s meson is now called a mu meson or muon. Anderson’s discoveries would be the first steps towards the Standard Model of particle physics. 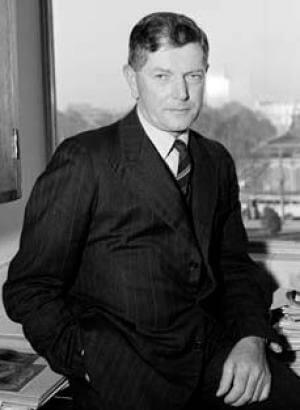 Like most American physicists working with radiation, Anderson was approached during World War II to work on the Manhattan Project and the atomic bomb. He declined the offer, choosing instead to work with the US Navy and the Office of Scientific Research and Development to develop new rocket technology. 1976 – NASA’s Viking II lander lands on Mars. NASA’s Viking II lander touched down on the surface of Mars. The Viking II was identical to the Viking I lander that landed the previous month. Viking II conducted a visual survey of the Utopia Planitia region of Mars and sampled the soil and found mostly silicon and iron with levels of magnesium, aluminum, sulfur, calcium, and titanium. 1938 – Ryoji Noyori was born. Noyori is a Japanese chemist who shares half the 2001 Nobel Prize in Chemistry with William Knowles for their work with chirally catalyzed hydrogenations. These reactions are used to prepare many pharmaceutical compounds where one chiral molecule is desired over its mirrored twin molecule. Noyori developed catalysts that produced more of the desired molecule than the undesired molecule. 1905 – Carl David Anderson was born. 1905 – Frank Macfarlane Burnet was born. 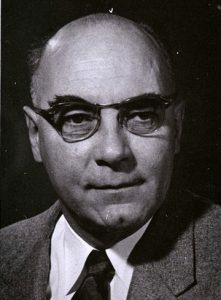 Burnet was an Australian virologist who shares the 1960 Nobel Prize in Medicine with Peter Medawar for their work in immunology and discovery of acquired immunological tolerance. This occurs when the body adapts to external antigens without causing an immune system response. He refined and improved laboratory techniques to incubate viruses in hen eggs. He applied this method to culture and detect influenza virus. Burnet also identified the cause for ornithosis and Q fever. 1869 – Fritz Pregl was born. 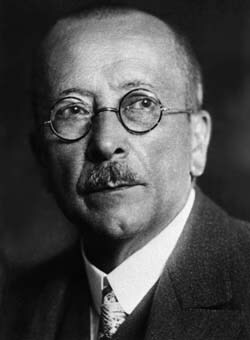 Pregl was an Austrian physician and chemist who was awarded the 1923 Nobel Prize in Chemistry for his method of micro-analysis of organic substances. While he was researching bile acids, he had difficulty using the analytic techniques of the time to determine the elemental makeup of his samples. He improved the techniques such that there were fewer steps and less sample was needed. He also developed a sensitive microbalance and new ways to identify chemical functional groups.